WEDNESDAY, Dec. 21, 2016 (HealthDay News) -- People trying to kick addiction to heroin or prescription painkillers often wait weeks or months before they can get into a treatment facility, putting them at continued risk for a fatal overdose. Now, two innovative programs attempt to get addicts the help they need as quickly as possible. Police in Gloucester, Mass., created an "Angel Program" that encourages opioid addicts to come to the department, with no threat of arrest, so officers can get them placed in local treatment programs immediately. Meanwhile, researchers in Vermont started prescribing the anti-addiction drug buprenorphine to people placed on a waitlist at a treatment clinic, to try to tide them over. Both programs reported promising results in the Dec. 21 issue of the New England Journal of Medicine. Gloucester police got about 95 percent of people who came to the department with a substance abuse disorder into a detoxification or treatment program during the first year of the initiative, researchers reported. "The police are persistent," said senior researcher David Rosenbloom, a professor of health law, management and policy at the Boston University School of Public Health. "They are going to do everything they can to avoid having that person walk out the door and use and perhaps fatally overdose." In Vermont, providing early access to buprenorphine helped people stay off drugs and also reduced psychological symptoms such as anxiety and depression, which come with fighting addiction, researchers said. "If you just give them some medication that eradicates their illicit drug use and criminal activity, then you may see some pretty impressive psychological benefits from giving them treatment they want but can't access," said lead researcher Stacey Sigmon. She's a research associate professor of psychology and psychiatry at the University of Vermont. The United States is in the grip of an "epidemic" of opioid addiction, according to the U.S. Centers for Disease Control and Prevention. Every day, 91 Americans die from an opioid overdose. Stricter regulation has reduced access to prescription painkilling opioids such as oxycodone (OxyContin), sending addicts to the street to purchase heroin and synthetic opioids such as fentanyl. The death rate from fentanyl overdose doubled between 2013 and 2014, the CDC said, while heroin caused nearly one out of every four overdose deaths in 2014. Despite this, only 21 percent of people addicted to opioids in the United States received any treatment between 2009 and 2013, the study authors said in background notes. Hoping to boost treatment rates, the Gloucester police said they would no longer criminalize addiction. While still enforcing laws against drug sales, the police promised that people who came to them seeking treatment would not be arrested, but instead would be immediately referred to a program, Rosenbloom said. Within the first year, 376 addicts sought assistance from the police, said lead researcher Dr. Davida Schiff, a pediatrician at Boston Medical Center. "Gloucester created a model where people felt they could come and get the help they really needed," Schiff said. Programs similar to their Angel Program have since been adopted by 153 other police departments in 28 states, the study authors said. For the Vermont study, 25 people were randomly assigned to receive daily buprenorphine treatment while they awaited entry into a treatment program. 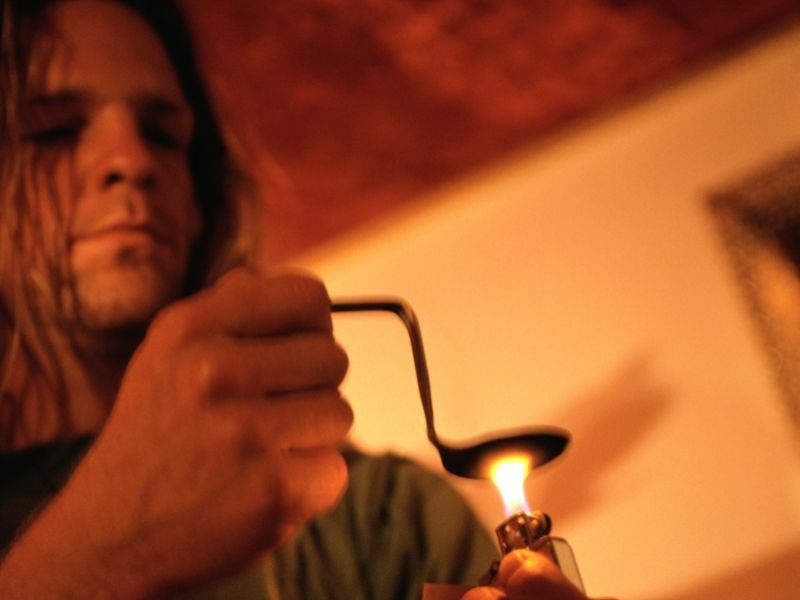 Buprenorphine acts on the same brain receptors targeted by heroin and morphine, reducing drug cravings without the same intense intoxication normally caused by opioids, according to the U.S. National Institute on Drug Use. Participants were given a secure computerized dispenser that released each day's dose during a pre-programmed three-hour window, Sigmon said. They also received daily calls from a computerized phone bank to assess their cravings and drug use. Nearly nine out of 10 people who got buprenorphine tested drug-free after waiting a month for treatment, the researchers found. And 68 percent of the participants were drug-free even after three months on a waitlist. "I think there's a lot of potential for clinics offering this," Sigmon said. Emily Feinstein is director of health law and policy with the U.S. National Center on Addiction and Substance Abuse. "Programs that offer immediate help can capitalize on the moment when a person is motivated to enter treatment and are likely to have better outcomes," Feinstein said. "We encourage states and cities to examine the barriers faced by their local population and to design tailored programs that facilitate the immediate initiation of medication to treat opioid use disorder as well as appropriate behavioral therapy," she added.